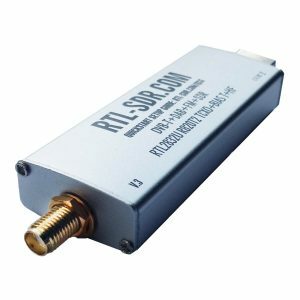 If you love the world of radio communications and would like to always have access to it, an SDR dongle is exactly what you must buy. Easy to carry and highly functional, this stick is quite affordable. Also, there are many options on the market for you to choose from. Before we get into the details, you must understand that the best dongle for your Software Defined Radio kit depends on your requirements. They may seem the same but differ quite largely based on connectors, temperature effect, and their chipset. 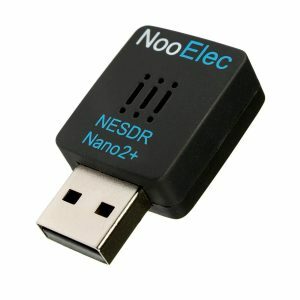 NooElec NESDR Nano 2+ is among the top RTL SDR dongle models out there. It works seamlessly with Android as well as iOS applications. You can also use it for remote installations. It is extremely small in size – a square that measures less than 1-inch! It has the RTL2832U interface. It comes with the R820T2 tuner that is far more sensitive than the previous model. The dongle comes with remote control and a telescopic antenna. It works perfectly between the frequencies 25 MHz and 1750 MHz without any issues in the range. It has better phase noise than the Nano model. You can also pair it with the Ham It Up converter. However, this is not included with the device. The connector type is female MCX on the SDR and its male counterpart on the antenna. The brand gives you a guarantee of 2 years with full technical support. A few users have complained that this device might be a little too fragile for them, but we think that at its price, it is an amazing purchase. 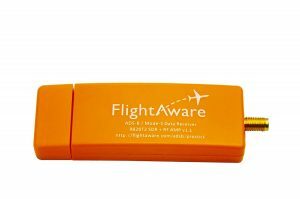 Easily affordable, the FlightAware Pro Stick is a very popular RTL SDR dongle. It is a 20dB integrated amplifier using which you can increase the ADSB range according to your preferences. You need FlightAware ADS-B filter in order to use this receiver. It has R820T2 RTL2832U chips. It is supported by PiAware, which you can install and start using within minutes. Users have reported that the setup is pretty easy. It does not include an antenna. For those who are looking to decode ADSB signals, you won’t get a better option than this one! It covers up to 1090 MHz. Tuned specifically for SDR, the NooElec NESDR Mini 2+ is known for its accuracy. It is a total redesign that suits the RF power supply. It also has better capacitors and inductors, the brand claims. It is a GPS-rated 0.5 PPM TCXO crystal device. The company says that the power consumption is less and the noise floor is quite low as well. It comes with a good telescopic antenna. The package also includes a magnetic suction mount base and a female SMA adapter. You can use the adapter to connect SMA adapters with ease. 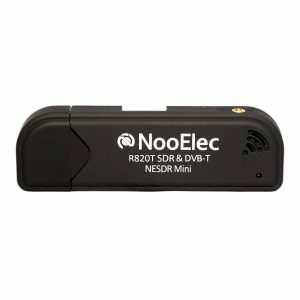 A cheap, yet effective model, the NooElec Mini is a good option for learning SDR. You can work with satellite images, fire scanning, Abs-B, amateur radio, and much more with this little gem. It has the R820T2 tuner that is a significant improvement over the R820T tuner. It is actually built with European standards and may not work impeccably for North American digital TV. You can use it for FM in narrowband, AM, digital signals, and SSB. It works well on Windows, Linux, and iOS. There is also an advanced version of this model, the Mini 2+. You could check that out for better features. Whether it is radio scanning, public safety radio, air traffic control, trunked radio, weather balloons, or radio astronomy, the RTL SDR blog is the perfect choice for you. It has numerous applications that make it a real catch at its price. The package includes a dongle with a multi-purpose antenna set. The entire package is easily portable. The dongle is 1 PPM TCXO HF Bias Tee SMA V3. The dipole antenna set comes with telescopic antennae, an extension cable, a suction cup mount, and a flex tripod mount. It has better component tolerance when compared to generic brands. It has the R820T2 tuner. It comes with a shielded case made out of aluminum, which has a thermal pad. This pad ensures passive cooling of the device. You can use it to tune between 500 kHz and 1.8 GHz. If you are a beginner and are looking for a good kit to get going, this should definitely make your shortlist. The extension cable that the kit comes with allows you to place it anywhere so that reception is not compromised. The kit comes with a guide that will help you use it optimally. Keep in mind that this may not be the best choice for Mac users because a few iOS applications may not work with this device. 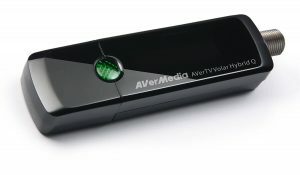 One of the more popular devices, the AVerMedia AverTV supports Windows and Android among others. You can easily watch analog TV on your desktop and listen to FM whenever you want! You can record your favorite shows thanks to its DVR support. You need the LiveTV app to use it on Android. It comes with a mini-antenna. It has the Picture In Picture function along with Time Shift and Smart Channel Grouping. It has an intuitive user interface that gives you great user experience. It comes with an installation CD and an installation guide that will help you through the setup process. The brand offers a 2-year warranty. 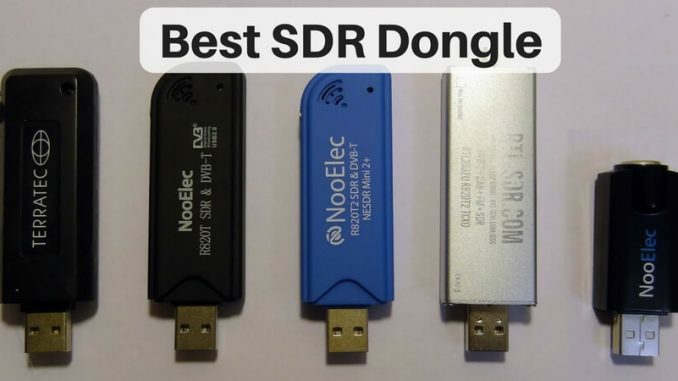 Now that you have all the best RTL SDR dongle reviews right here, we think it will be easier for you to make a choice. If you are still confused or have any other dongles in mind, please feel free to share with us through comments. Any feedback is highly appreciated!